Attfield Associates is a partnership of Edward Attfield and Catherine Chamberlain. 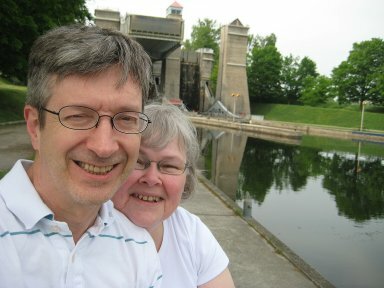 While this current partnership was registered in 2011, Ed and Catherine have been friends since they met at the University of Waterloo School of Engineering. We are committed to providing individuals and small businesses with a calm, friendly approach to solving your computer problems. Edward is our technical guru. With a degree in Electrical Engineering from the University of Waterloo, and considerable experience in a wide range of technologies, he will help with your equipment problems, equipment setup and web solutions. Ed takes pride in creating and maintaining simple solutions that work, for both the owners and the visitors to your web site. Catherine is our Computer Whisperer. She is also our technical trainer and business manager. As a former Algonquin College Instructor and with industrial training experience, Catherine can help remove the mysteries of your computer applications and devices. With an M.Eng in Engineering Management, Catherine also understands the needs of small business. She can help you choose the software that is right for your needs, and show you how to use it. Steven is our network specialist. As he completes his degree in Network Management, Steve will set up your personal household network, making wireless computing available to everyone. Graphic artist Cheryl Coville is responsible for the awesome graphics on this website. For more information about Cheryl, check her link. Dolly is our head of security. We take your computer security very seriously. We believe that backups, a virus checker and strong passwords will go a long way to protect your computer from malevolent forces in the outside world. See our discussion of passwords. The offices of Attfield Associates provide a temporary foster home for sick cats and orphaned kittens for the Ottawa Humane Society. We usually have one adult cat or 2 to 4 kittens underfoot. The featured cat shown here is one of the many cats the Ottawa Humane Society currently has available for adoption. Click on the cat to be connected to their web site. Page last modified Tue Apr 16 20:25:21 2019.